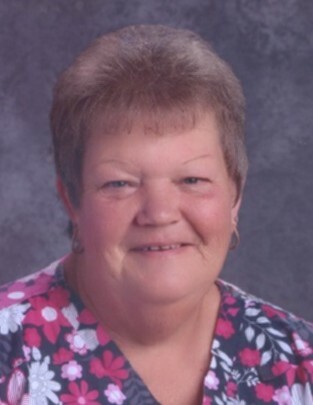 Anita King, age 58 of West Liberty, KY passed away on Saturday April 6, 2019 at St. Claire Medical Center, Morehead, KY after a brief illness. She was born July 29, 1960 in Mt. Sterling, KY a daughter of John and Edna Smith Gunnell. She accepted the Lord Jesus Chris as her Savior. She was a lunchroom cook for the Morgan Co. Schools. Surviving is her husband Jackie King and children Shena & Tim Cantrell, Jackie & April King, Steven King & Ranea Potter all of West Liberty, KY. Stepson Eric King of Hindman,KY. Three sisters Marie & Ray Engle, Carol & Bobby Whisman of West Liberty,KY. Martha Irene Roe of Middletown,OH. Three brothers Bert & Faye Gunnell of Mt. Sterling,KY. Teddy & Rita Gunnell and Bobby Gunnell of West Liberty,KY. Special friend Terry Gibbs. Grandchildren Dylan Perry, Jenna Belle Cantrell, Adalyn King and Harrison King and four step grandchildren E.J.King, Zach King, Cheyenne King, Aiden King. She was preceded in death by her parents John and Edna Smith Gunnell and three sisters Lillie Mae Ross, Leatha Roe, Judy Fannin and brother Delbert Gunnell.